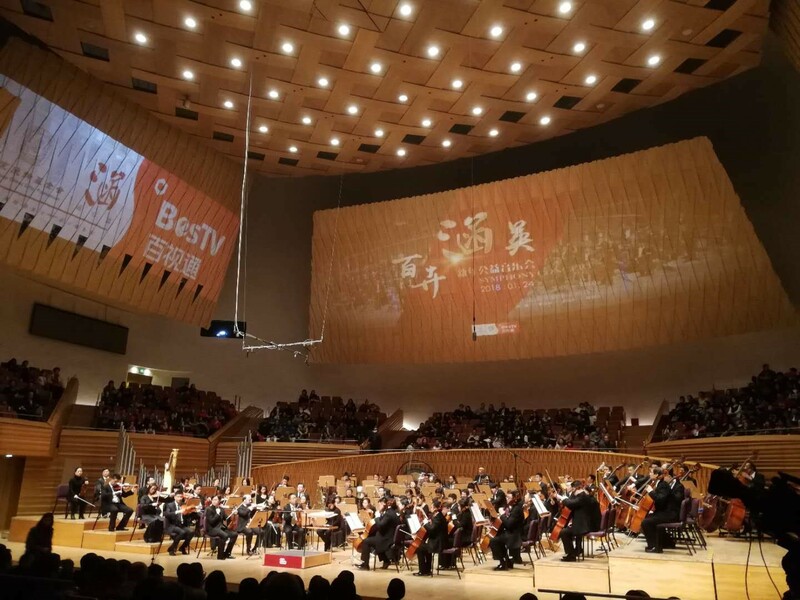 "Bai Hui Han Ying" (Hundreds of Flowers contain fragrancy and beauty) 2018 New Year public welfare concert, sponsored by SSCLF’s Han Public Welfare Fund and BesTV, was successfully held at the Shanghai Symphony Orchestra Concert Hall on the evening of January 24, 2018. 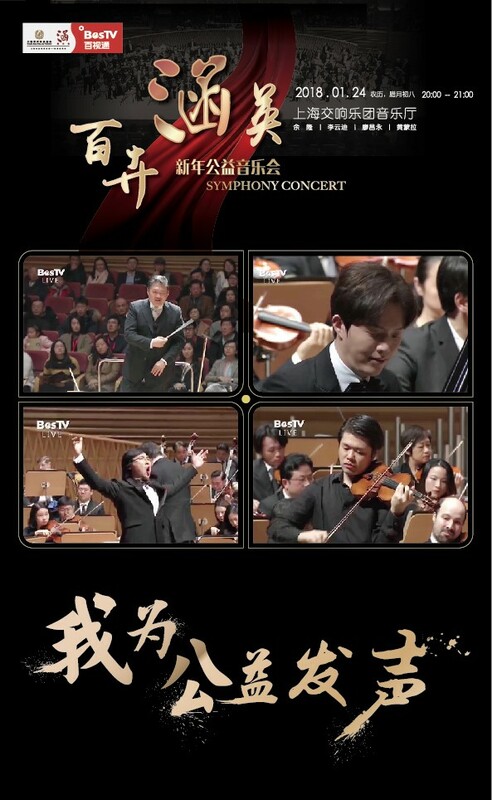 The Asia's oldest Shanghai Symphony Orchestra led by its music director and conductor Yu Long, international famous pianist Li Yundi, famous violinist Huang Mengla, baritone singing artist Liao Changyong and other artists were performing at the concert. However, the real protagonist on the stage today was not the four superstars, but an autistic teenager called Zhou Bohan, whose performance brought the concert to a climax, giving the audience at the concert and the audiences through the new media platforms a real feel of warmth and love. Among the performances, international famous pianist Li Yundi introduced the "Child of the Stars" Zhou Bohan to the audience and sat behind him listening carefully to Zhou Bohan's performance of Grieg's "piano concerto in A minor". Zhou Bohan with his love of music expressed to the public the inner world’s fine and smooth, softness and firmness of a “child of the stars”. Zhou Bohan was diagnosed with autism at the age of three and half years old, and began to learn to play the piano at the age of 8, learning from teacher Tang Wenlei. In 2012, he was admitted to the Oriental Xingzhi Piano School and began to learn the profession of piano playing. In 2015, he entered the Music Education Department of Shanghai Conservatory of Music majoring at the piano, learning from Teacher Chen Cheng. In the obsession of autism, Zhou Bohan’s whole process of learning has been full of difficulties, he also needs the family company in the daily life, but he has received the tolerance and help from teachers and students and many social caring people, so that he can gradually overcome his own social dysfunction and stereotyped behavior, and go towards the goal of successful integration into society. Four artists are willing to act as green leaves to foil Zhou Bohan's musical talent is the best footnote of “Bai Hui Han Ying” public welfare concert, "Music Helps Each Other, Heart and Melodies Interwoven", with music to open the barriers of love. "Bai Hui Han Ying" 2018 New Year public welfare concert has got strong support from all walks of life. In addition to the performing musicians, many directors, actors, singers and musicians also joined the ranks of supporters. The participation of many famous stars made "Bai Hui Han Ying" New Year public welfare concert widely concerned by the community, so that the public welfare become a continuous transmission, and the public can accept the “message” from a variety of media, occasions, and social public figures.